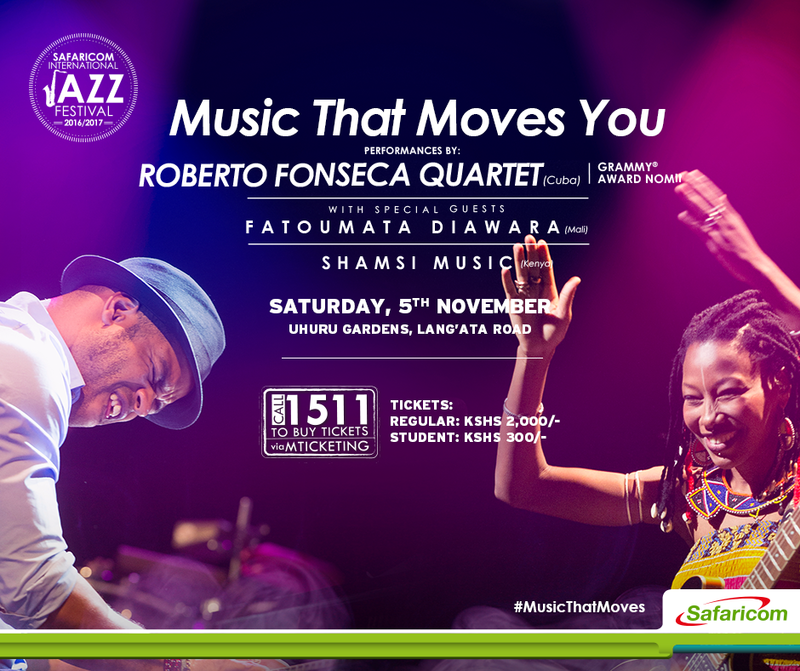 The Safaricom Jazz Lounge is proud to bring the Roberto Fonseca Quartet, with special guest Fatoumata Diawara. Fresh off the release of his latest album ABUC, Roberto has been described by The New York Times as a “charismatic spark plug of a pianist from Cuba,” and made his debut at the Havana International Jazz Festival in 1990 when he was just 15. Learn more here.